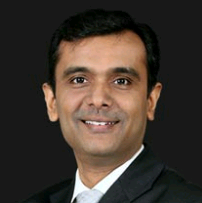 Naresh Thacker is a Partner in the Litigation, Arbitration & Dispute Resolution teamof ELP; specialising in arbitration, commercial and tax disputes. He is a qualified lawyer with the additional attribute of being a Solicitor in England and Wales. Naresh has successfully represented clients in matters pertaining to economic offences before diverse Tribunals and Courts in India. He is also actively involved in the field of alternate modes of dispute resolution and has managed a number of ICC, LCIA, SIAC, UNCITRAL, Swiss Rules and AdHoc arbitrations. He has been part of mediation and conciliatory proceedings at the clients’ behest and has brought them to fruition. Naresh is currently active in a number of professional organisations including The Law Society, UK, London Court of International Arbitration (LCIA) and the All India Federation of Tax Practitioners (AIFTP). He is often quoted by prestigious international journals and his articles continue to appear in trade publications around the world. He has been featured as a leading tax controversy adviser in India in Tax Controversy Leaders (Fourth & Fifth Editions); and as an expert in World Tax 2015. Prior to ELP, Naresh practiced as an independent counsel on indirect tax and litigation matters.